Debt Free, Cashed Up and Laughing - The Cheapskates way to living the good life: Cash Only! How are you going with No Spending month? It can be easy to spend when you don't have to physically hand over the cash. Those credit and debit cards make it seem painless to buy things - just swipe, or these days tap, and collect your purchase. Simple! Easy! Painless! And at budget friendly! For the rest of February try shopping only with cash - for petrol, milk, lunches, groceries, bills - and see what a difference it makes to your life. It will take some getting used to, but you can do it. 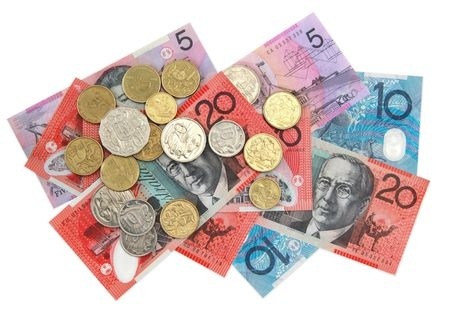 And if you are worried about emergencies 'hide' $50 in the zipper compartment of your handbag or wallet. But don't spend it - it's emergency money only. Force yourself to actually walk into a bank (of course you have time - you must get a lunch break and if you don't then use the ATM) and withdraw the cash you will need to get through the week. Then leave the plastic at home in a safe place and see how your attitude to spending changes. When you know you only have so much to spend you are very conscious of what it is spent on.